The Austrian capital is beautiful under a dappled sunrise, on a canvas of blue sky, even misted in soft rain. But perhaps Vienna’s loveliest time of day is by night, when the city comes alive with lights of all shapes and sizes. 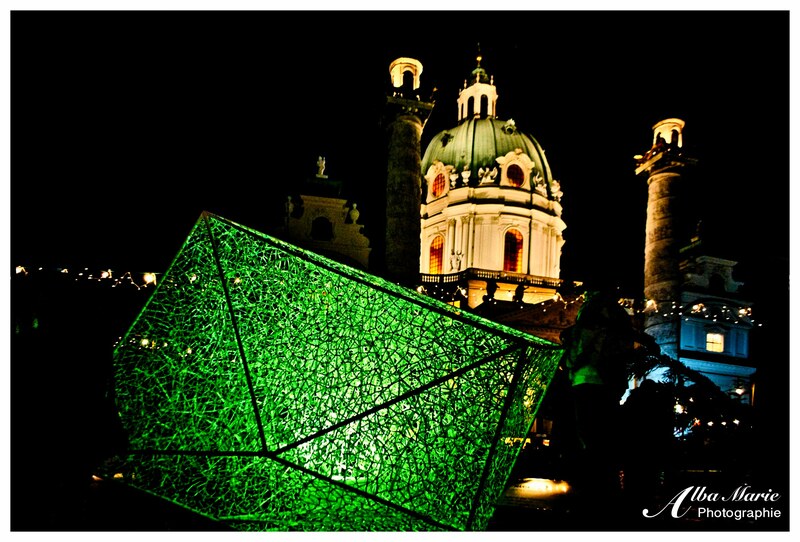 The ancient palaces and churches of Vienna are illuminated in multi-coloured brilliance. Cafes and restaurants spill brightness onto the pavement, streetlights bathe ancient cobblestones in soft yellow lamplight, and pop-up markets exude a soft glow. Vienna comes alive in the evening – people pour out of the Opera, they frequent the crowded markets, stroll down romantic alleys, enjoy evening meals on cafe terraces, sit in the lamplight on the Danube, or share drinks and cigarettes in the floodlight of the city’s many bars. This is not a place where one should have a healthy fear of the dark; rather, Vienna is place where night is the time to socialise. 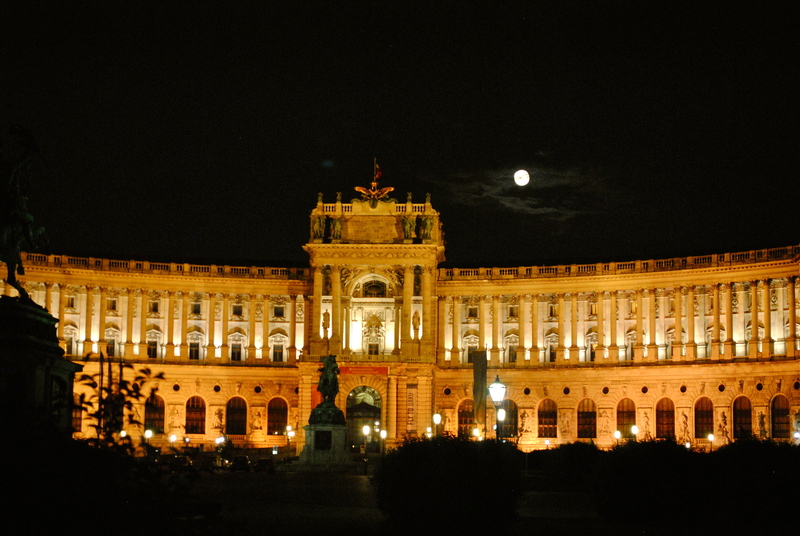 The Austrian capital is a place to embrace the night as you enjoy its many wonders. Seen here is Karlskirche, an 18th-century Baroque wonder, found just outside the famous Ringstrausse of central Vienna. Pro tip: Visit Vienna in December for its amazing decorations and Christmas markets located all over the city centre! Pure decadence, exorbitant elegance, genteel allure, stunning beauty. Welcome to the Staatsoper, Vienna’s State Opera House. The first of the extravagant buildings on Vienna‘s most famed street, the Ringstrasse (now a designated UNESCO site), the Staatsoper was opened to the genteel Austrian public in 1869. Built in the Neo-Renaissance style, the building was surprisingly unpopular with said genteel Viennese. (It somehow was not considered grand enough. You have to wonder about that genteel 19th century high society…). Then on the fateful night of March 12th, 1945, inferno rained down upon Vienna’s opera house, dropped by US bombers. Fire poured from the sky, bombs exploded in the streets, and flames ate their way through the Ringstrasse. Though the angry flames could not get into the walled-off foyer and fresco-filled stairways, the auditorium and 150,000 costumes for 120+ operas went up in smoke. When WWII was finally over, it was debated: shall we rebuild the originally unpopular building as per original design, or do we redesign it to modern tastes? Thank goodness the former option was chosen, and the Wiener Staatsoper was rebuilt in all its former glory (and happily, it is now beloved by Viennese and foreigners alike). 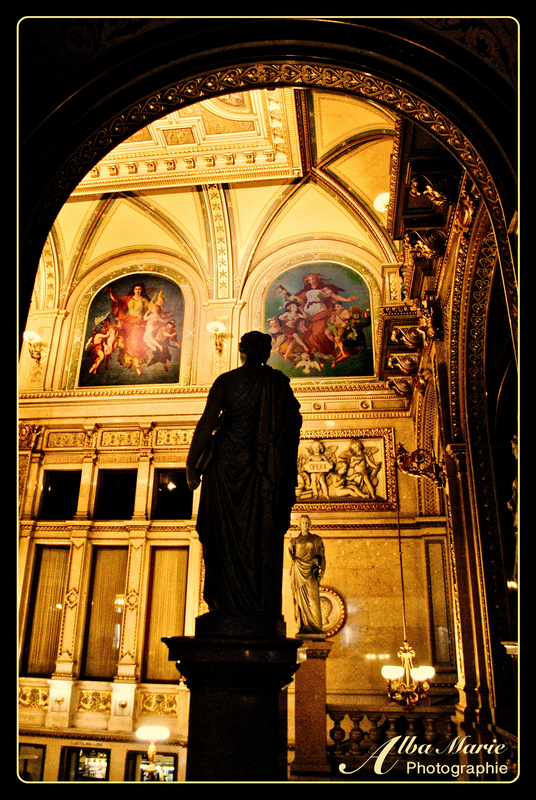 Today, you can’t visit musical Vienna, home (at one point or another) to such musicians as Haydn, Mozart, Beethoven, Schubert, Strauss, Chopin and Mahler, without visiting the opera. Loiter inside the foyer for a bit and if you have time, buy yourself a ticket to the opera or ballet. If you’re a budget traveller, queue in the ‘standing’ line in the afternoon to buy a €3 or €4 ‘standing’ ticket (arrive 3hrs prior to the show’s start; once you’ve got your ticket, tie a scarf to mark your spot and head out for a bite to eat). Be sure to dedicate plenty of time to explore the palatial building – frescos, statues, paintings, vast staircases and awe-inspiring architecture await!